Asbestos exposure has serious long-term health consequences. This does not mean that you must be exposed to it for long periods of time to develop an asbestos disease. 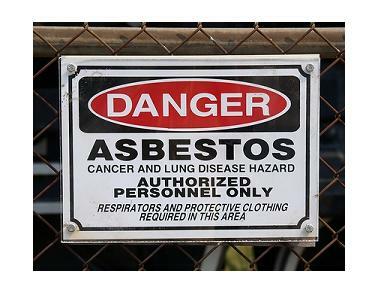 There have been cases of children developing asbestos related maladies simply from asbestos exposure from work clothes used by their fathers, who worked in asbestos related industries. The nature of asbestos fibers, allow them to become imbeded in the lung tissues. In the early 1900s, there was a notable increase in early death of asbestos mine workers. However steps were not taken to reduce the use of asbestos until the mid-late 1980s. It is now banned in many countries, though it is still mined in some developing nations. Low levels of asbestos are in the air we breathe and some of the water we drink. Studies have shown that people with no contact with asbestos industries have tens of thousands to hundreds of thousands of asbestos fibers in each gram of dry lung tissue. Meaning that any or all of us could have millions of fibers and tens of thousands of asbestos bodies in our lungs. The EPA has proposed a concentration limit of 7 million fibers per liter of drinking water for long fibers (lengths greater than or equal to 5 µm). OSHA (Occupational Safety and Health Administration) has set limits of 100,000 fibers with lengths greater than or equal to 5 µm per cubic meter in workplace air for 8-hour shifts and 40-hour work weeks. How small is an asbestos fiber? Most asbestos fibers that can be inhaled are invisible to the unaided human eye because their size can be as thin as 0.01 µm. A single human hair ranges in size from 17 to 181 µm in width. Asbestos fibers can be SUPER small! If you have ever made crystals with a science kit you can get a good idea of just how asbestos is formed. The fibers crystallize and form together, however the fibers tend to be very weak and break down into smaller and smaller fibers when disturbed - so small they are invisible. As asbestos fibers get smaller and lighter, they can become airborne and can eventually enter our respiratory system. Airborne fibers will eventually settle, but that doesn't mean they will stay there. A gust of wind or other disturbance can launch the fibers into the air again. Asbestos is considered friable when the fibers can easily be crushed and broken. Although large fibers of asbestos may not be inhaled, these fibers are so soft that they can easily be broken into smaller fibers that enter our respiratory system and embed themselves in out lungs. Non-friable asbestos is not immediately as dangerous. But products made of non-friable asbestos can still release asbestos fibers into the air. So if you have asbestos materials in your home please handle with care-better yet don't mess with it at all! That's for a professional to take care of. Call a pro to check if your asbestos poses an immediate threat or use a home test and check it for yourself. If you have been exposed to asbestos you should let your doctor know.